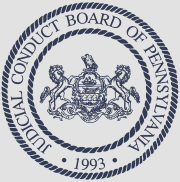 Created by constitutional amendment in 1993, the Pennsylvania Judicial Conduct Board is an independent state organization responsible for reviewing, investigating, and where merited, prosecuting complaints of judicial misconduct. The Board is composed of 12 Pennsylvania citizens, six appointed by the Pennsylvania Supreme Court and the other half appointed by the Governor, including three judges, three lawyers, and six non-lawyers. No more than half of the appointed Board members may be from the same political party. Appointed Board members serve four-year terms without pay and meet regularly to review filed complaints against Pennsylvania judges.